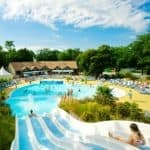 Camping does not have to mean chilly shower queues and uncomfortable night’s sleep; our range of high-quality holiday villages in France put creature comforts first so you can enjoy an outstanding family holiday. 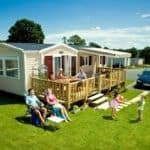 Each of Siblu’s 19 holiday villages is a comfortable, upmarket campsite, combining modern mobile home accommodation with big pool complexes, free children’s clubs, sports and entertainment, where families can find that elusive mix of fun and frugality. Choose from Normandy, The Languedoc, the Loire Valley, Loire Atlantique, Charente Maritime, Vendée, Rhône Alpes, the Côte d’Azur and Aquitaine. There is a huge selection of activities for all ages at each siblu village: from football to archery, scuba diving to cycling. Siblu’s lifeguarded pool complexes have indoor and outdoor swimming, slides, splashzones and toddler pools. There are also three free kids clubs, supervised by qualified teams who provide inventive, diverse and energetic activities. Bubbles, for 1 to 3 year-olds, has music making, face-painting and dressing up. Pirate Club, for 4 to 7 year-olds, inspires team work through arts and crafts, treasure hunts, water fights and sports. Barracuda Club, for 8 to 11 year-olds, burns off energy with sports tournaments and shows. In 2018, Siblu launched the Teens Club ages 12 years and older with sports, film making and nights out offering your teenagers the perfect opportunity to make some new friends. Many of France’s beaches are huge and sandy, the seaside towns are geared to families and there are interesting attractions such as fantastic waterparks, zoos, historic chateaux and exciting theme parks. Cast aside ideas of tents and cramped caravans and choose a spacious mobile home with en-suite bathrooms, a fully-equipped kitchen and comfy beds – self-catering in style. Find out more about Siblu Villages and our latest offers.